As the frontman for The Modern Lovers, Jonathan Richman unwittingly set the stage for punk and new wave, even though his musical interests clearly lied elsewhere. The group split in the early ’70s, and Richman would go on to specialize in wide-eyed, acoustic, and almost child-like songs that betrayed a sense of wonder and optimism rarely seen in popular music. Though never popular, per se, Richman found a bit of mainstream success after appearing (alongside longtime drummer Tommy Larkins) in 1998’s There’s Something About Mary. Richman has released dozens of solo albums (his latest is 2010’s O Moon, Queen Of Night On Earth), and tours constantly. Before Richman’s show at Shank Hall Thursday, November 14, The A.V. Club briefly spoke to the singer—via fax—about Lou Reed, the benefits of a two-man touring group, and why you shouldn’t even bother downloading his records. The A.V. Club: As an early disciple of Lou Reed and The Velvet Underground, do you have any thoughts or stories to share about Reed in light of his recent passing? 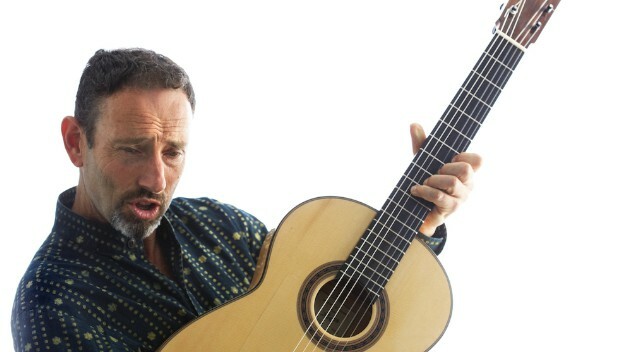 Jonathan Richman: Yes. Aside from being exceptionally nice and patient with me, they also, in letting me watch them rehearse at their sound checks, allowed me to learn about sound itself and, by watching them improvise, about improvisation itself. Lou Reed was my musical hero, and I watched the whole band very closely. I was lucky enough to see them with John Cale many times, too—which were adventures in sound that still affect the music I make. My boyhood hero has changed worlds, I see, but I can hear his speaking voice instructing me, reprimanding me. (I really was a little brat and I started hanging around them when I was sixteen.) He seemed to play guitar in color! He instructed the band onstage; they made new sounds and song structures every time you saw them. I vote yes! AVC: You’re constantly on the road. What still excites you about touring and playing in front of an audience? JR: You got it! The audience itself! AVC: What are the advantages or disadvantages of touring with just you and a drummer, Tommy Larkins? JR: Since there is no plan nor set list and since I’m always changing keys and substituting one chord for another on the guitar and since I don’t want any other instruments in our sound and since I couldn’t afford to pay them what they’d be worth if I did want them, I’d say it’s all advantages. AVC: You often revisit older songs on your newer records. How do feel about playing older songs in concert? JR: Good question. I’d say I don’t do concerts. I’d say we make more of a “party” atmosphere. I revisit old songs until they feel like old songs! AVC: As someone who doesn’t participate in the Internet, do you have any thoughts on the way people buy and listen to music these days? How do you buy and listen to music these days? JR: I’d rather people not buy my records at all than “download” them or buy them from Amazon or whatever. Any recordings I make are made to be bought “live.” I’m especially fond of cute little used record stores. That’s where I go myself. AVC: You’re often described as the “godfather of punk.” Do you think this is accurate? How would you like to be described? JR: I’d rather be described in general terms like: singer, guitar player, stage performer, etc.